ClearEdge Plus has always been our most competitively priced product, but these changes make it even more attractive. In addition to the ClearEdge Plus changes, we improved our Prepay Penalty buy-down LLPAs in Investor Edge and ClearEdge Core and removed the PPP buy-down LLPA from ClearEdge Plus entirely. We have a number of guideline and pricing changes come to Investor Edge in the next couple weeks also, so stay tuned! Equity markets have now recovered all their December losses. 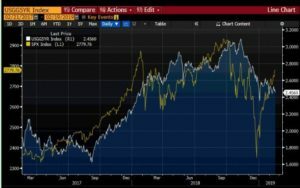 Despite being the biggest sell-off in stocks in nearly 8 years, the market exhibited the classic “V-shaped” recovery we’ve seen repeatedly over the last 10 years. 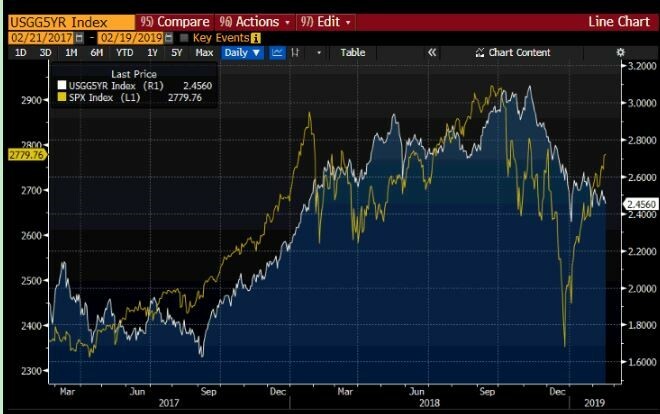 The spread between interest rates and equities persists, though. Despite the recovery in equity prices, US Treasury rates continue to hang around their December lows. 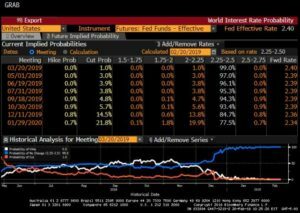 Fed minutes will be out this afternoon, which could create some volatility in rates. 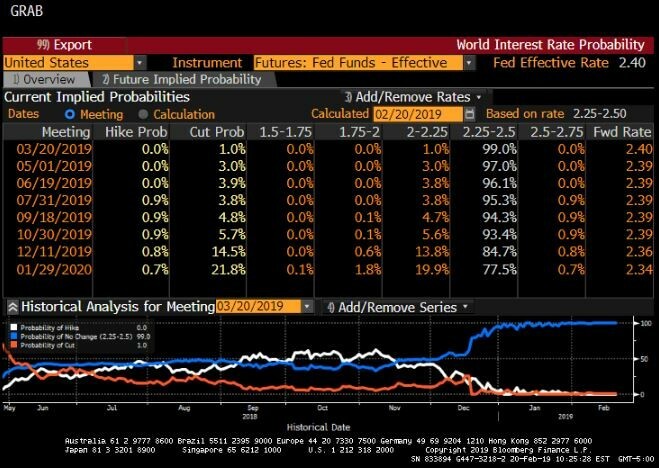 The market implied probability of a rate hike this year is hovering around 1%. That’s dropped from a little over 25% a month ago. it will be interesting to see if the Fed takes a more hawkish tone, though, as asset prices have largely recovered. 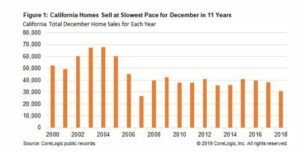 There was an interesting piece in the New York Times yesterday arguing that if there is a recession coming, it likely won’t be caused by housing. The basic argument is that housing disproportionately contributes to volatility in US output, but most of that activity is related to the building of new homes. 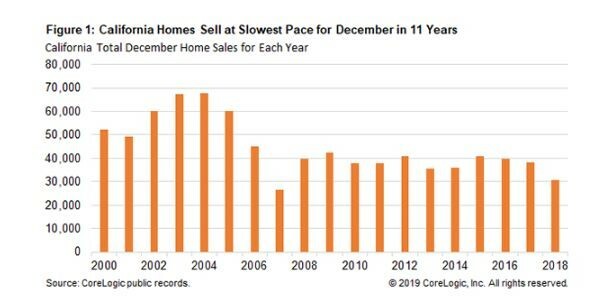 Since housing starts are already below cyclical lows, it’s hard to see them dropping much further, and, therefore, hard to see lower housing activity at the leading edge of a recession. 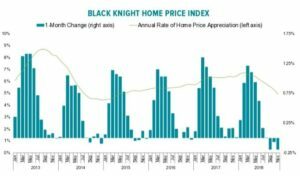 That may be true (and good), but as lenders we’re also exposed to lower prices in existing homes too, and the picture there has deteriorated in the last quarter. 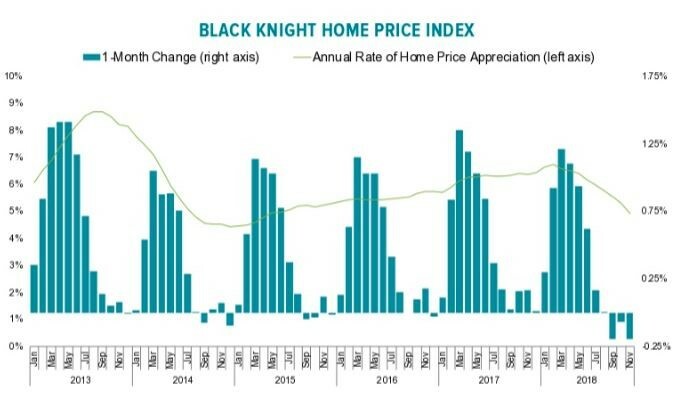 Black Knight’s most recent housing report shows that we’ve had 3 consecutive months of month-over-month declines in national home prices for the first time since home prices began to recover after the financial crisis. 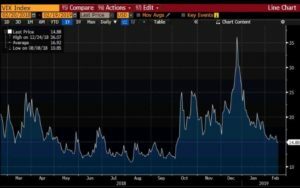 It would be easy to point to the economic volatility we saw in December (lower stock markets, government shutdown, etc) as a rationale for the slower activity, but December closings represent purchase decisions made in November or October. That said, most economists continue to be positive on housing, but as more data comes out it will be very important for our market to watch. INTERESTED IN BECOMING AN APPROVED BROKER? We’re paving the way for mortgage brokers to break into and scale their Non-QM business. Become an approved broker today.